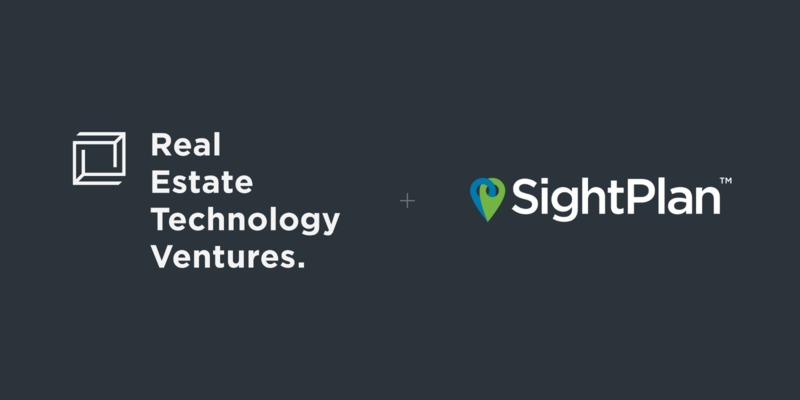 SightPlan, the multifamily industry’s premier provider of maintenance and resident service software, today announced a strategic investment from RET Ventures. Today’s funding and partnership with RET Ventures will drive growth and create new opportunities with RET’s strategic partners, which own and operate nearly one million multifamily units across North America. RET Ventures is backed by major multifamily real estate investment trusts (REITs) and owner/operators including: Aimco, Boardwalk, Essex, MidAmerica, UDR, BH Management, Starwood Capital Group, Cortland, Gables, GID, and Pinnacle. SightPlan’s solutions streamline operations for multifamily owners and operators while improving resident satisfaction. With SightPlan, on-site teams are empowered to combine and optimize maintenance activities like work orders, inspections, preventive maintenance, and asset tracking. Communication with residents is made easier through custom branded resident apps and an intelligent virtual assistant, helping teams deliver exceptional service while gaining actionable business insights portfolio-wide. Create, manage, and resolve work orders from anywhere with a smart shared task list. Speed up the inspection process and gather documentation needed to deliver an accurate assessment of the condition of units, amenities and assets. Preserve property assets with automatic task scheduling, warranty monitoring, and verified task completion. Streamline communications and optimize workload across maintenance teams to support new coverage and operating models. Give residents a fully-branded window into their communities through a web portal and mobile app. Provide a fully integrated answering service with automated issue categorization and multi-lingual support. Better connect with and collect feedback from residents through multi-channel messaging. Standardize best practices across an entire portfolio and streamline compliance with policies and regulations. Trigger escalation of service quality issues with detailed monitoring to modify schedules and prioritize tasks. Gain insight into the health of operations, team members, and residents to easily compare performance across assets and geographies. SightPlan provides software solutions to help apartment communities optimize operations while improving resident satisfaction. We believe that Great Teams = Great Communities, so we’re empowering leasing, resident service, and maintenance team members with easy-to-use solutions to deliver exceptional service. To learn more about our innovative solutions, visit us at sightplan.com. RET Ventures is the first industry-backed early stage venture fund focused on helping build cutting-edge real estate technology companies for the multifamily industry. The Firm connects the smartest rent tech solutions with the largest network of multifamily and single-family rental units in North America. RET Ventures works with high quality entrepreneurs to rapidly scale their businesses by leveraging the knowledge and expertise of its team and limited partners, who own close to one million units. In turn, these owners receive early access and insight into the most effective technology solutions. For more information, please visit www.ret.vc.